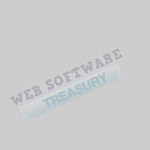 These samples should help you to decide whether to order Web Software Treasury. The tools allow you to see the style of the tools and make sure they work OK on your PC. All the tools display a popup ad when they are used, showing offers that you may be interested in. Only a single popup appears each time you use the software. The popups do not affect the operation of the software in any way, but they allow us to offer you this software collection at such a low cost. Please do not distribute these tools. If you order Web Software Treasury, you'll get full Master Resale Rights to these tools, with a minisite for each tool.